Home > Dialectic.sg > Should Singapore take even firmer action to stop the Haze? Singapore has been grappling with its worst bout of transboundary haze pollution in two years, with the 24-hour Pollutant Standards Index rooted in the Unhealthy range for several days since 12th September 2015. This came after a week of steadily worsening haze from forest fires in Indonesia. The haze occurred despite Indonesia having submitted its Instrument of Ratification of the ASEAN Agreement on Transboundary Haze Pollution with ASEAN in January 2015 and Singapore implementing a local Transboundary Haze Pollution Act in 2014. Tourism in Singapore has suffered while school and military activities have also been adjusted. The current measures to deter haze-causing companies seem ineffective. Should we try something harsher? Or is there no hope? 1. The haze has caused illnesses, disrupted lifestyles and activities, and reduced tourism in Singapore. The 2015 Southeast Asian haze is a haze crisis which is affecting several countries in Southeast Asia. It is caused by forest fires arising from the combination of illegal slash-and-burn practices and the annual dry season in Indonesia. The haze episodes have gone on for three decades since 1985 when transboundary haze started becoming a sporadic problem in Southeast Asia. There is anecdotal and statistical evidence that the haze causes an increase in respiratory diseases of up to 30%. The economic impact of the 1997 haze was estimated at US$163million, and the one-week period in 2013 where the PSI hit a record high of 401 resulted in economic losses of about US$50million. 2. Measures implemented by Indonesia and ASEAN have had little effect. Factors like government development policies which encourage resource exploitation, the increase in global demand for pulp and palm oil, and weak forestry governance have resulted in very slow change in Indonesia. It was reported in 2013 that the forestry ministry had been resisting then President Susilo Bambang Yudhoyono’s attempts to set up a Reducing Emissions from Deforestation and Forest Degradation (REDD) taskforce. It was the 1997-8 haze episode which had provided a fillip to the Association of Southeast Asian Nations (ASEAN) in devising a regional solution. Then Indonesia President Suharto apologised for the damage done by the haze. In the immediate aftermath, the Regional Haze Action Plan was launched and endorsed by all ASEAN members. In 2003, the ASEAN Agreement on Transboundary Haze Pollution came into effect. For many years, the Indonesian government had also claimed to have begun the process of submitting the request for ratification of the ASEAN agreement to its parliament for approval. ASEAN has a non-interventionist philosophy (the ASEAN Way) that hinders it from taking effective action. Others believe that a strict and intrusive treaty may be unrealistic given the diverse and unequal states in the region and ASEAN’s aversion to the use of binding instruments. 3. Singapore’s efforts to reduce the haze have been unsuccessful, despite all the options explored. In 2007, Singapore and Indonesia formalised their collaboration to jointly develop and implement action programmes in order to prevent and manage the fires in the Indonesian province of Jambi. Six years into the collaboration however, challenges on the ground were reported. Despite the limited success, data obtained from the Forestry and Environment Ministry in Jambi showed that the province had reduced the number of hot spots there by about 70 per cent since 2006. Singapore has also tried to enlist the efforts of non-government bodies such as through the SIIA Programme on Transboundary Haze Prevention, which sought to sustain a policy and public advocacy focus on the haze problem. Activists and experts had attributed this to the greater awareness amongst residents of the detrimental effects of slash-and-burn farming to them and to their surroundings. In 2014, Singapore introduced the Transboundary Haze Pollution Act, which gave the government the power to prosecute any company found guilty of contributing to the haze with a fine of up to S$2million, however Singapore has reportedly had difficulty obtaining the list of companies from Indonesia. In recent days, Singapore had also offered assistance to Indonesia to combat forest fires. Indonesia had earlier accepted the Singapore Armed Forces’ offer to send C-130s for cloud seeding and Chinooks for large water buckets to douse fires, only to decline it later. 1. Singapore needs to balance taking firm action against diplomatic ties with Indonesia. The haze situation only accounts for a few weeks each year, whereas our long-standing relationship with Indonesia persists throughout. Singaporean politicians thus need to be mindful that taking excessively harsh actions –verbal or legal – against Indonesian companies and politicians could have repercussions on diplomatic ties long after the haze subsides. 2. Singapore has a limited range of policy options to deal with such problems. The haze originates from outside our boundaries and is brought here by the wind currents. Globally there are few good solutions to such transboundary environmental challenges. Singapore, as a small country, has only a few policy options, such as negotiation and diplomacy (i.e. asking nicely), financial support (to fight the forest fires), legal penalties (to punish guilty companies, if Indonesia reveals who the guilty parties are), or fire-fighting support (in the form of cloud-seeding or helicopter water-bucket operations). All of those options have already been pursued, and policymakers are still exploring other new policy solutions to address the growing crisis, but to no avail. Firstly, the almost yearly affair of haze episodes have led to disruptions for the lives of ordinary citizens. While the government has set up the Haze Subsidy Scheme which assures children, seniors, and lower- and middle-income Singaporeans of affordable treatment for haze-related conditions at all polyclinics and Public Health Preparedness Clinics, this has nonetheless caused inconvenience for those who have fallen ill. Secondly, policymakers and analysts will have views on how this case should be handled and why, given the competing choices. 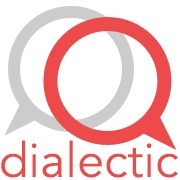 The dialectic.sg is a website that aims to promote better debates for a better Singapore. Topical policy dilemmas are explored with a fact-based background brief (reproduced below), and commenters are invited to debate the policy options using a patent-pending commenting system that encourages more respectful and rational comments. Various insights on the outcome of the debate are also automatically generated to help those following the topic.